News How does INBAR support its member states to develop bamboo policy and strategy? As more and more governments and their people wake up to the power of bamboo, policy changes and national strategy developments are changing the way this amazing plant is seen under the law. INBAR works on the ground with member states governments to facilitate the introduction and strengthening of bamboo-friendly policies and national strategies. 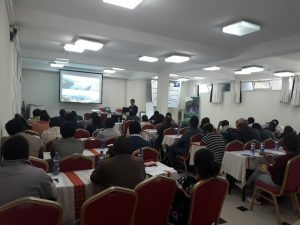 Recent workshops in Kenya and Ethiopia are laying the foundation for an expansion of the bamboo industry in INBAR member states in Africa. INBAR’s influence in Africa is growing steadily as the importance of bamboo and rattan for livelihood development, ecosystem services and South-South cooperation in these regions is recognised. 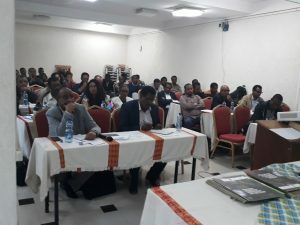 In Ethiopia, the government is working on a national bamboo strategy, and INBAR continues to support the country to do so with training workshops and exchange tours. Ethiopia boasts 67% of the natural bamboo forest on the African continent, and has perhaps the most advanced bamboo sector in Africa – but the potential of bamboo in the country is still far from full realisation, and the market is dominated by low value and low priced products. The Government of Ethiopia have given high priority to the development of the bamboo sector. The country’s 2016-2020 Growth and Transformation Plan includes bamboo as a strategic species for livelihood development and environmental rehabilitation. 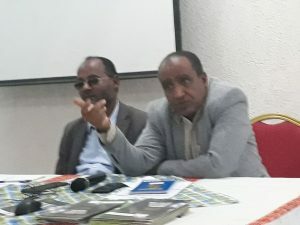 Ethiopia is particularly committed to restoring and reforesting degraded land, and according to INBAR Project Manager Jayaraman Durai, bamboo has been chosen to play a large role in this initiative. Participants were invited to work directly on their overall strategy and receive feedback throughout the workshop, as well as taking inspiration from other INBAR members states – of particular use to EEFCCC was the case study of the Indian context, where governments have uses incentive packages for farmers and entrepreneurs to bolster governance strategies to great effect. “The bamboo development strategy and action plan will help industry players like us. It will solve problems such as existing bureaucratic bottlenecks, supply-chain, problems of transport, and clarity on taxes, incentives, export exemptions, etc”. 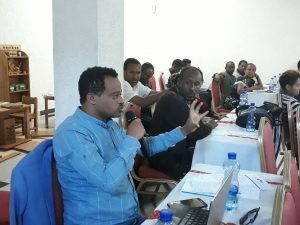 The aforementioned strategy and action plan will be updated by a core committee of experts from Ethiopian government agencies and INBAR, and the plan will be validated in a workshop in February 2019. “Bamboo has an important role in watershed management; though this policy development has come bit late, it is better late than never. Bamboo should be included as an important crop in government programs and development plan for achieving 10 percent tree cover target of Government of Kenya. It addresses both the livelihood development, job creation, and environment protection, and climate change agendas of the government”. 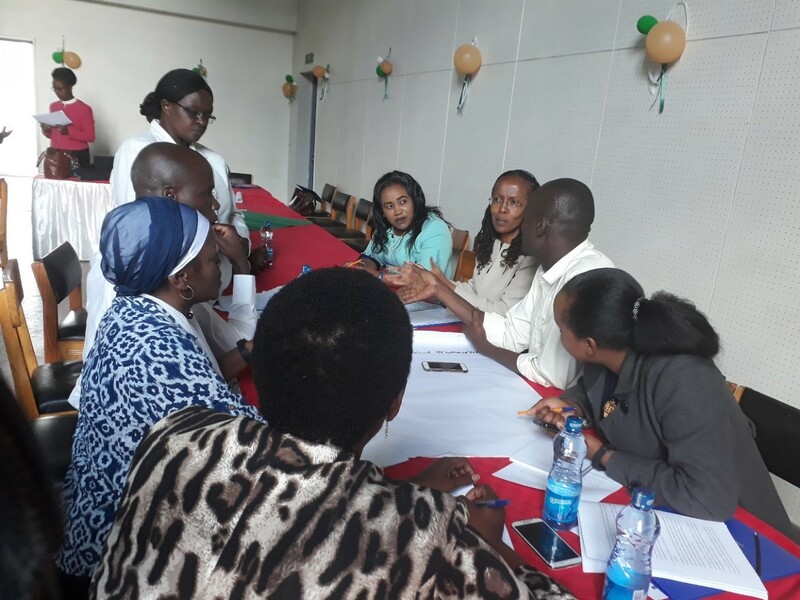 KEFRI, INBAR’s host and partner in Kenya, hosted this policy development workshop as a welcome first step towards the expansion of the whole sector in the country. This training was carried out by INBAR’s Dutch-Sino East Africa Bamboo Development Programme supported by the Netherlands and China. 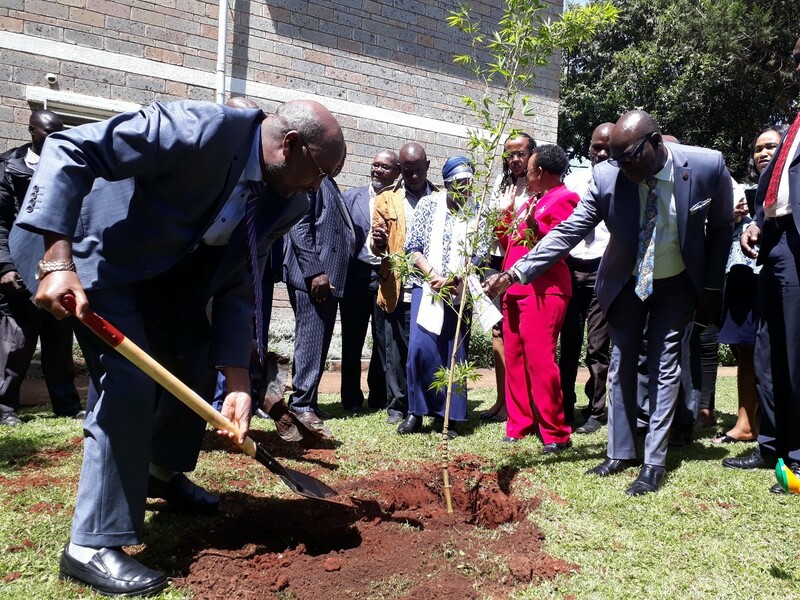 Simultaneous activities under this project allow for comprehensive development and include bamboo resource assessment, value chain studies, property testing of indigenous bamboo resources, capacity building on bamboo value-chains, bamboo nursery and plantation development, and even standards development. 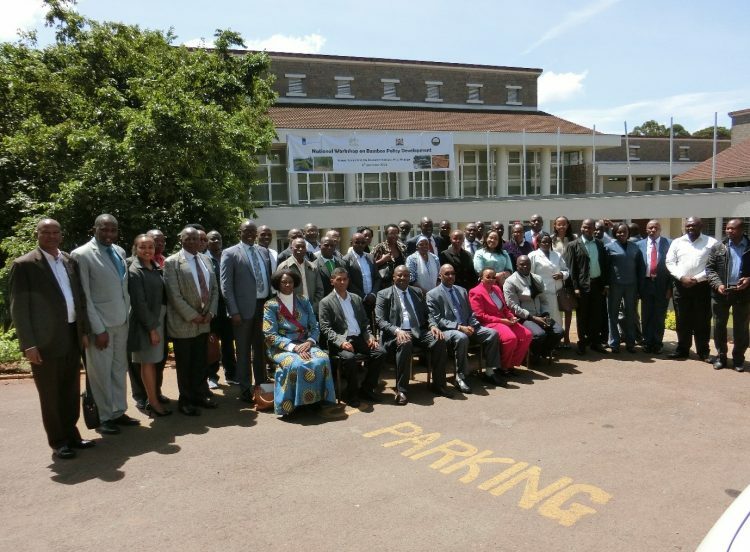 The policy workshop, attended by 60 participants from different governmental levels and departments, allowed for an updated bamboo policy and a roadmap for the development of the bamboo sector in Kenya. “The process of adoption in Cabinet and any amendment of legislation will be fast tracked and it will be done before next World Bamboo Day. This fits in with 3 of Big 4 Agenda of government: food security, enhancing manufacturing, and affordable housing”. As INBAR member states continue to expand their bamboo sectors, learn how to sustainable manage their bamboo resources and upgrade value chains, INBAR’s support for the development of regional and national bamboo policies in each state will continue to grow.